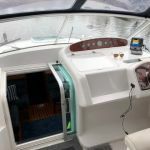 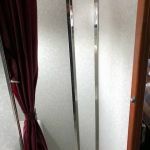 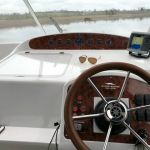 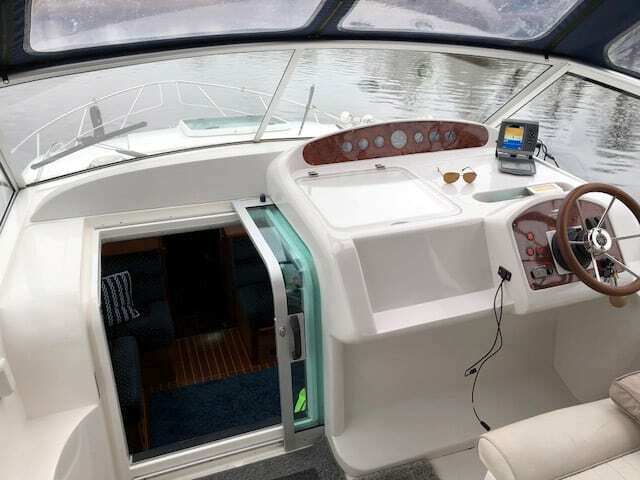 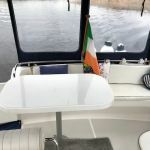 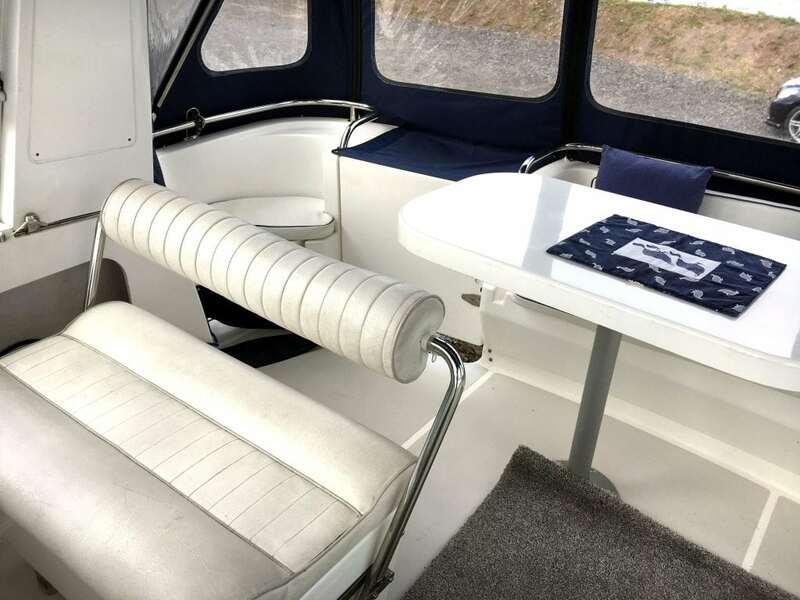 This is an ultra-modern cruiser offering the ultimate is style and elegance with a flying bridge sheltered by a luxury canvas cover (removable). 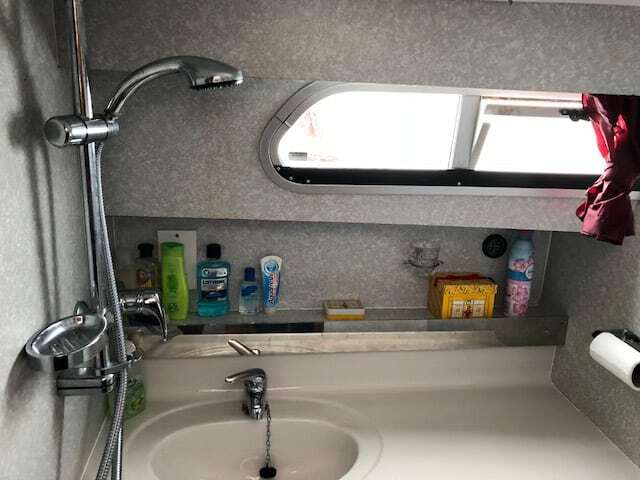 The extremely large aft en-suite cabin provides lots of space and comfort. 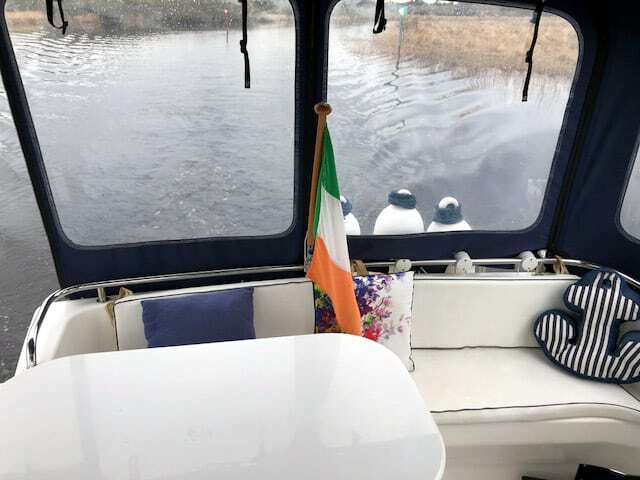 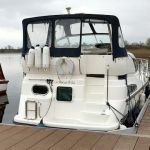 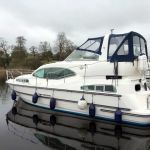 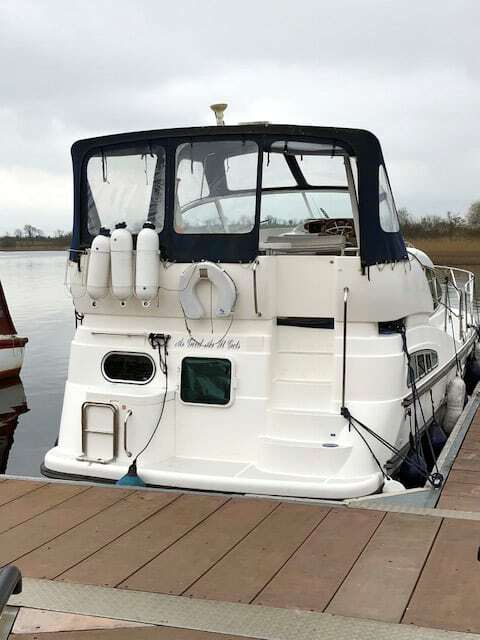 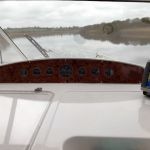 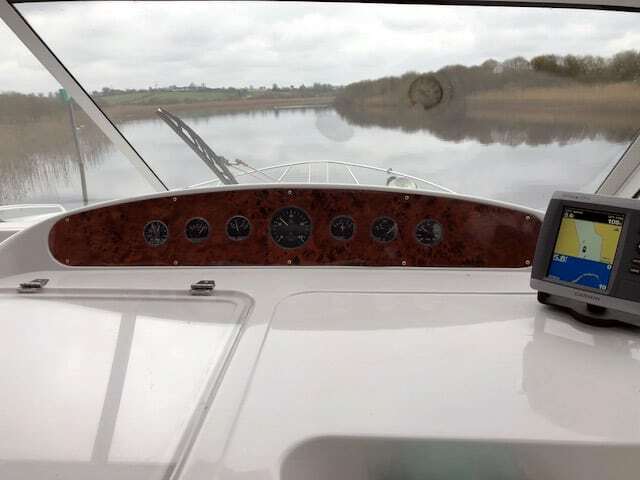 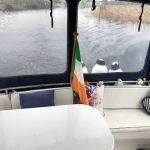 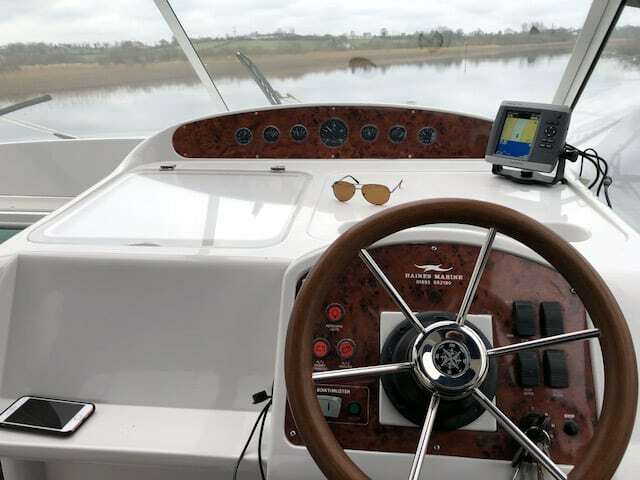 The bow thruster provides easy manoeuvrability plus comfortable steps down to the bathing platform for easy access in and out of the boat. 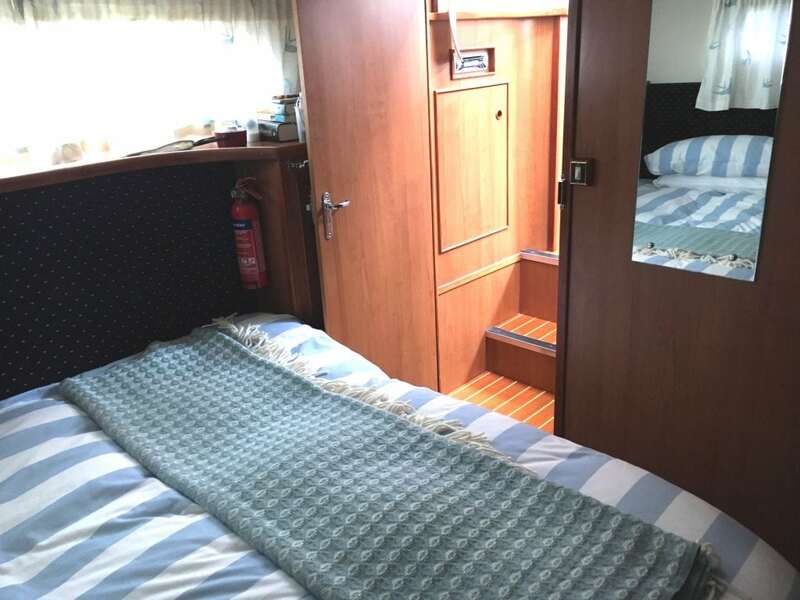 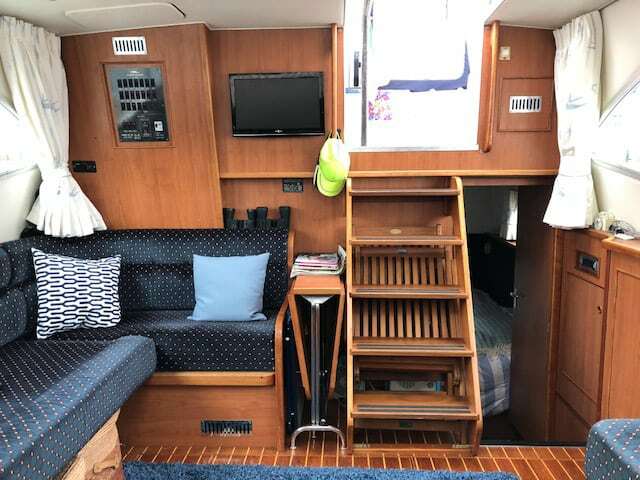 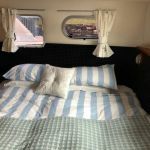 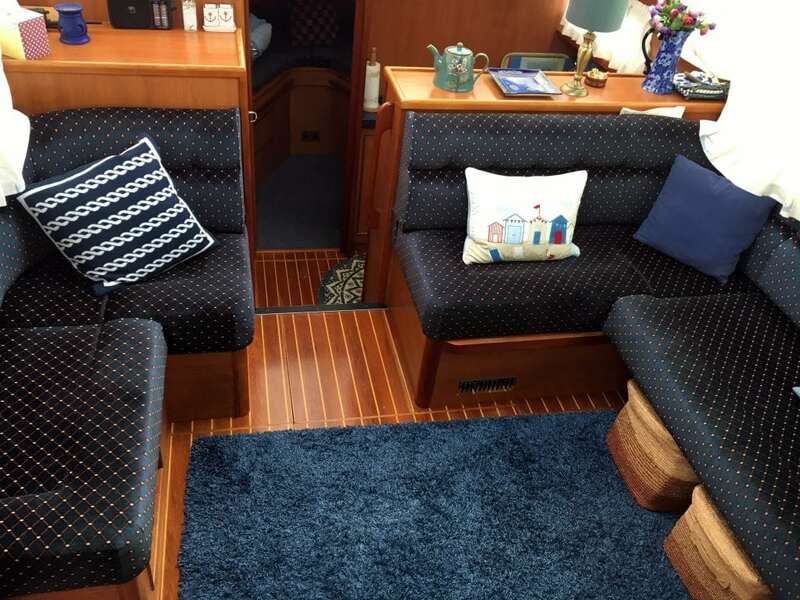 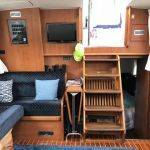 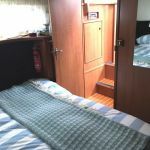 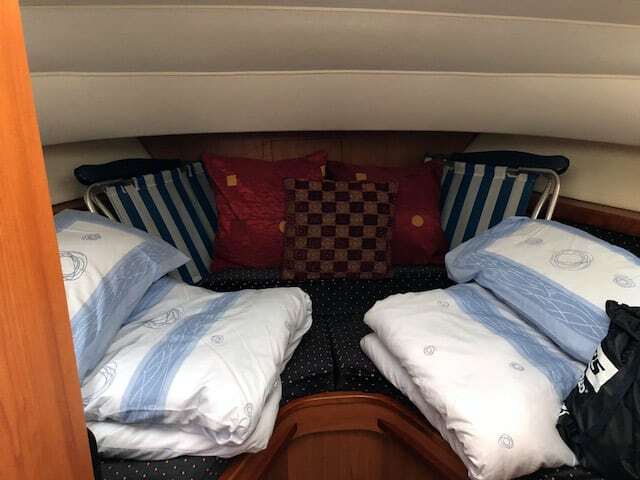 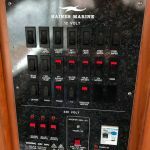 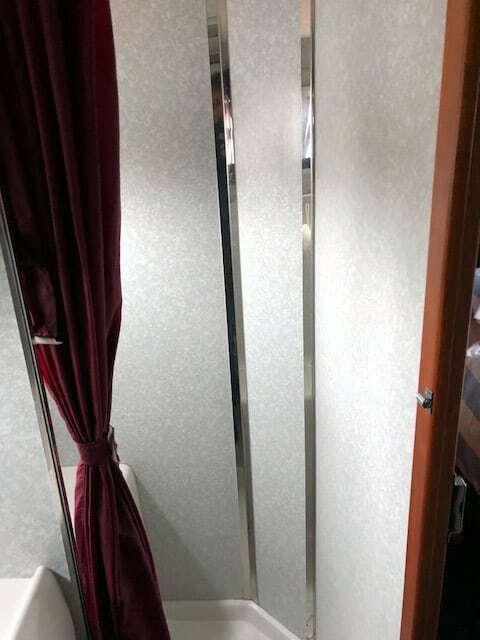 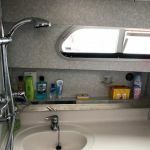 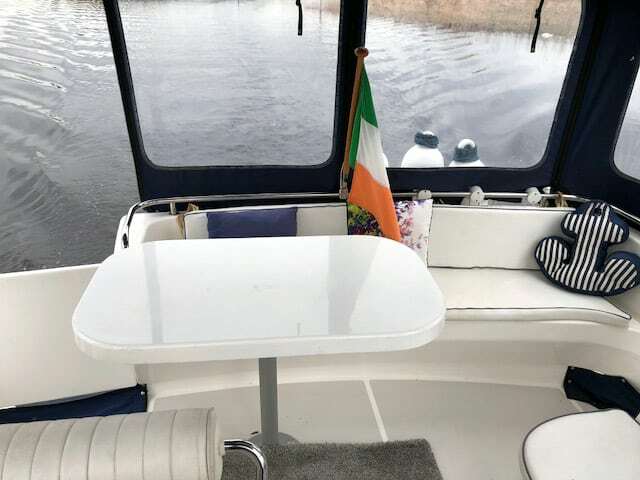 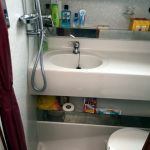 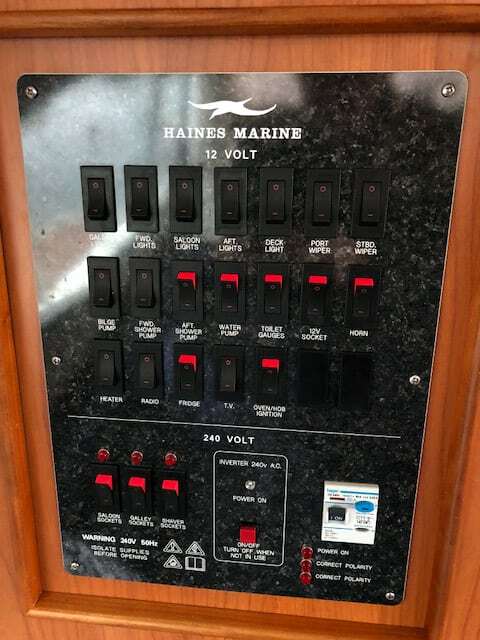 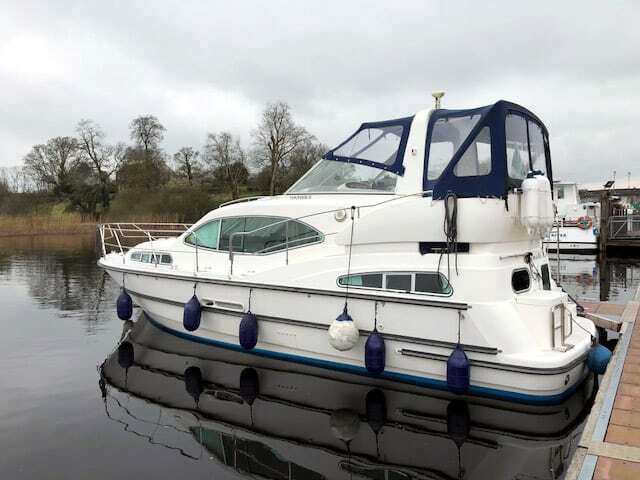 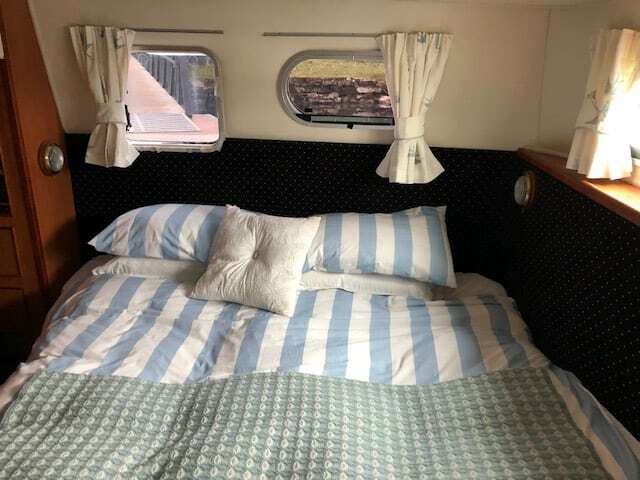 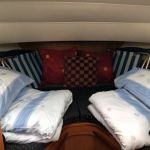 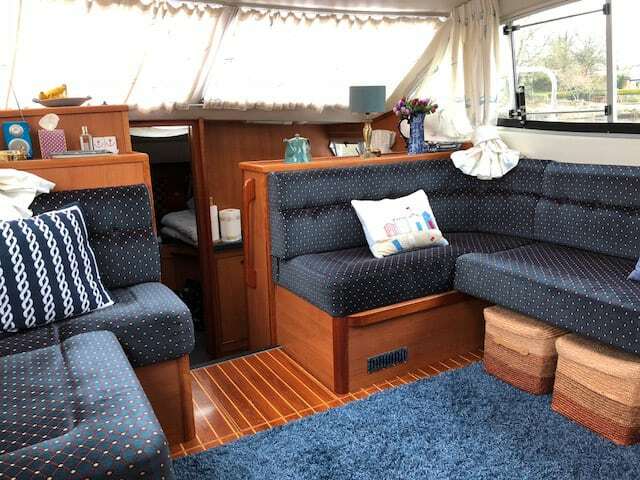 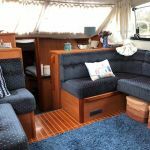 Large master aft cabin with ensuite (toilet, washbasin & shower) and storage. 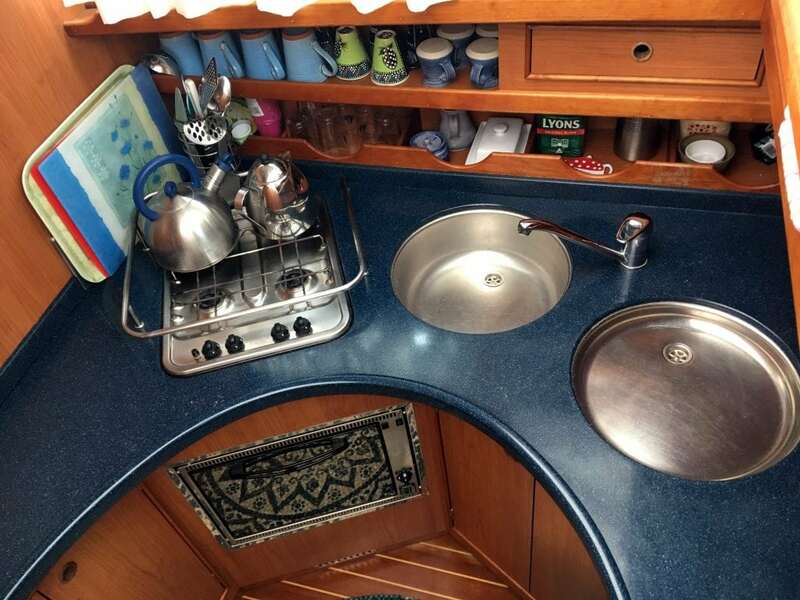 Curved galley with avonite work surface. 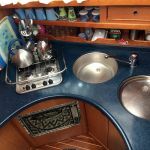 4 burner gas hob, oven & grill. 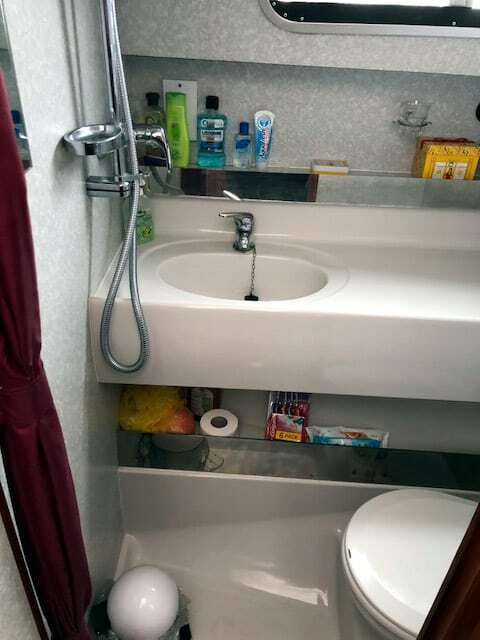 Stainless steel sink and drainer with mixer tap. 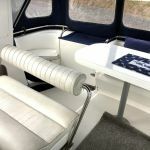 Cockpit with helm, seating with cushions and table. 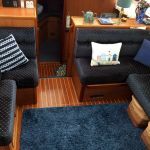 Full cocpit cover and steps leading to bathing platform.